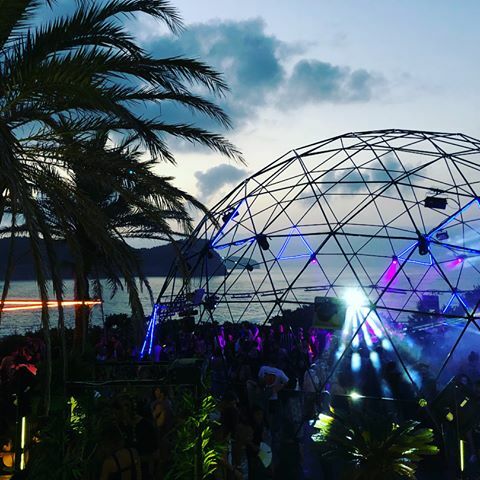 Customized dome structure in black made by Polidomes for the Ibiza party. 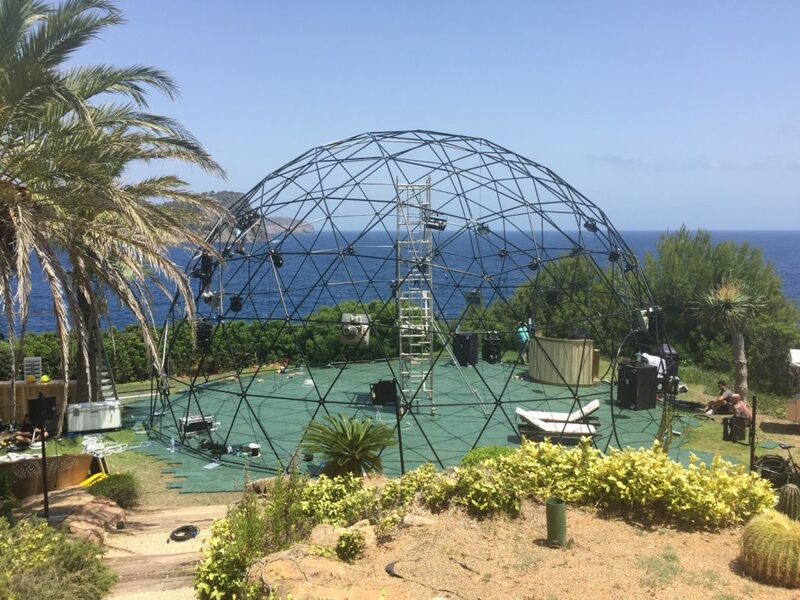 In June 2018 our supervisor was excited to departure to Ibiza with the Polidome 150 structure painted into the noble black colour. 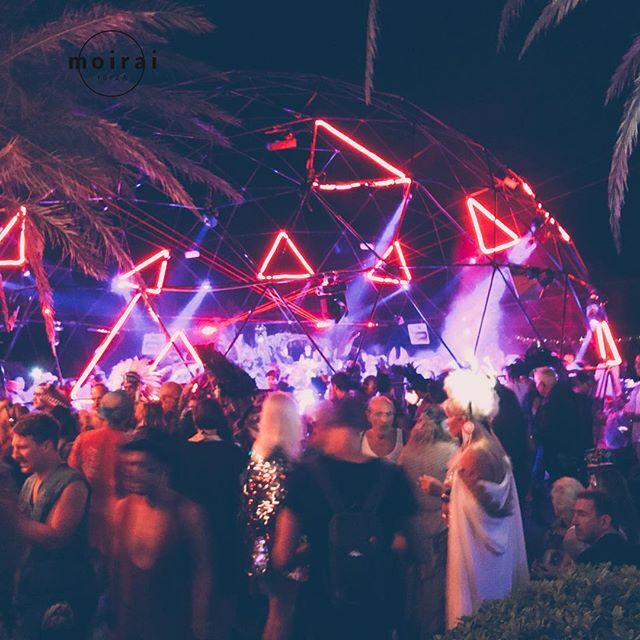 Assembling of the dome steel structure with 45 ft in diameter, was intended for a private villa party named #MICA50 organised by Made-up events. 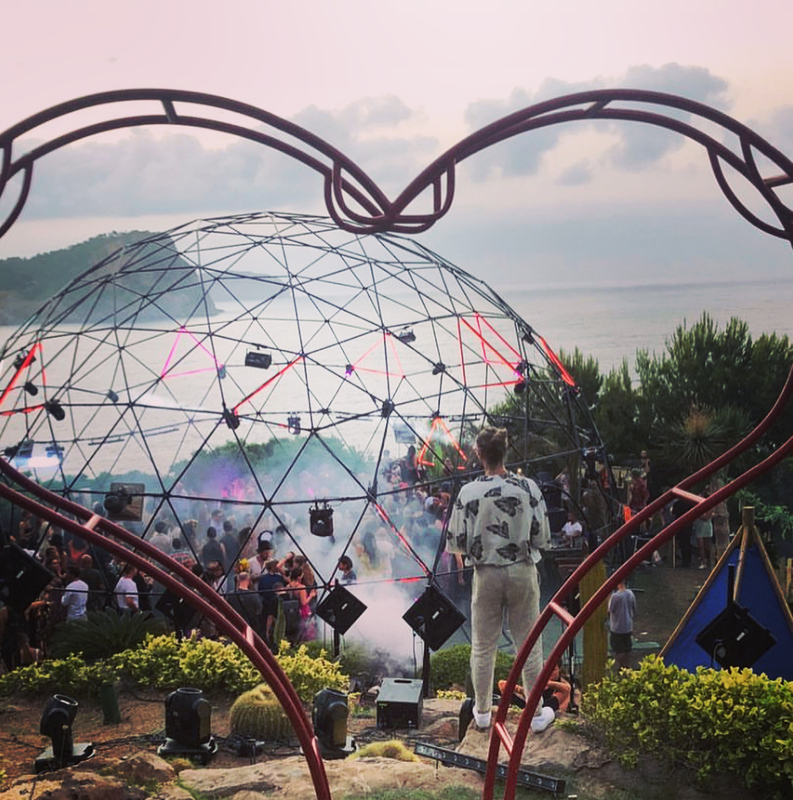 The installation ran on the beautiful Ibiza coast. No special flooring was needed, but for the best safety, the structure was secured with anchors directly to the ground. 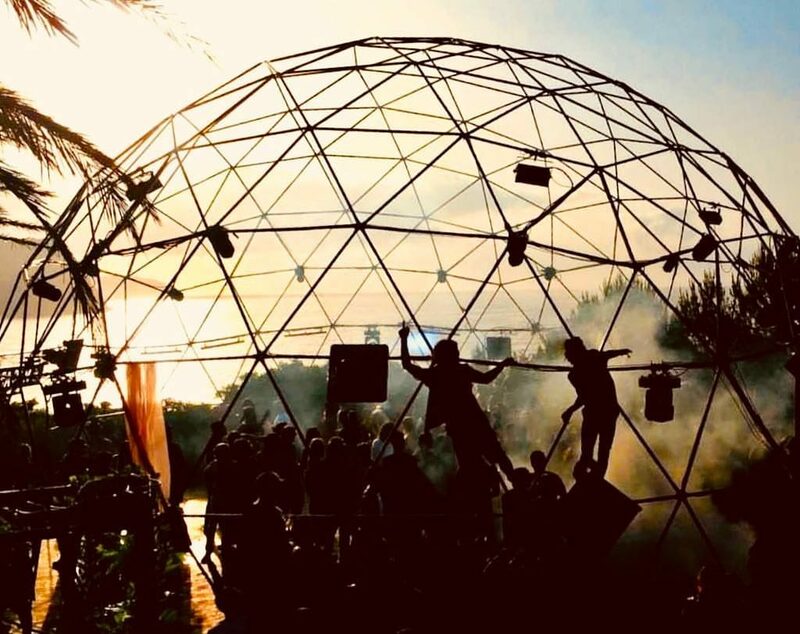 The geodesic dome frame, made from the steel pipes, using technology invented by R. Buckminster Fuller, is a smart choice! The triangular elements of the dome are not only eye-catching. They ensure the distribution of the structural stress throughout the structure, making geodesic domes able to withstand very heavy loads for their size. The geo dome steel structure, provided by Polidomes, could easily withhold all the lighting & sound equipment, and the weight of the aerial ballet dancers being hung during the show. 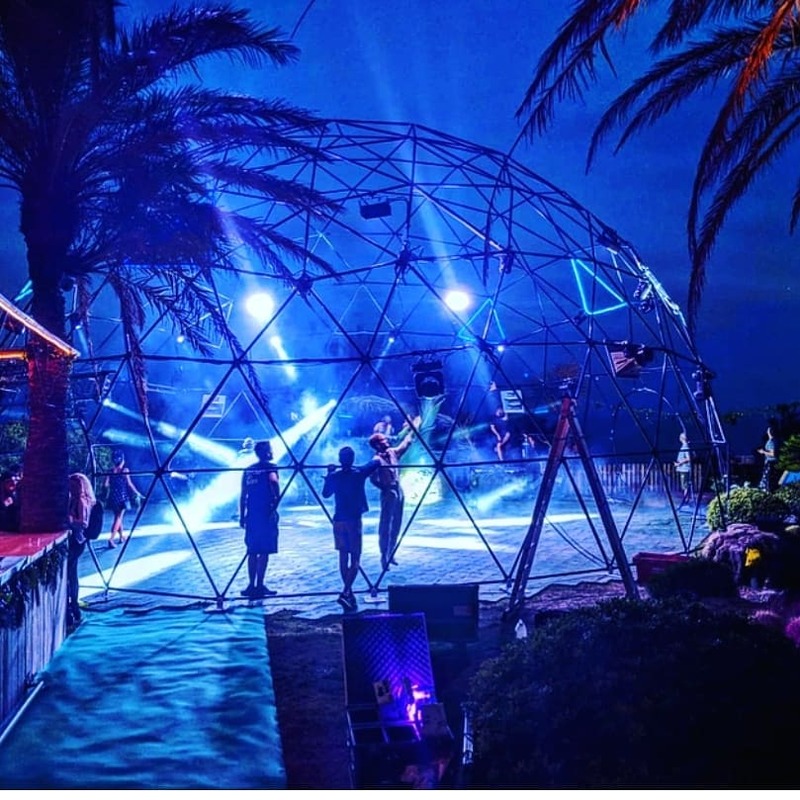 The geodesic structures made by Polidomes, deliver our clients safe mobile venue where the possibilities of the decorating are limited only with fantasy limitations. Watch the fascinating video from the event. Contact us today to customise a Polidomes spherical structure for you.